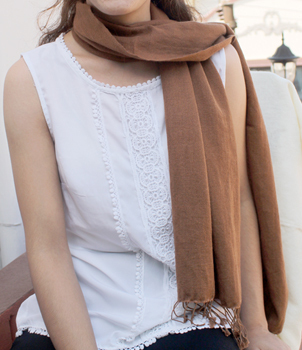 Luxurious and warm cashmere and silk pashmina mixture scarf (70% cashmere, 30% silk). Available in 12 x 60 inches (30X152cm) size but you can also contact us for custom sizes. 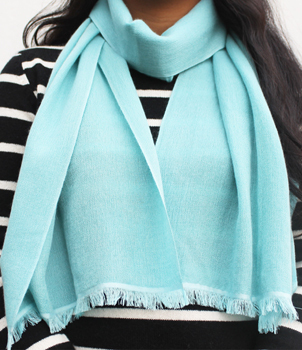 Our Silk and Cashmere blended Pashmina shawls are beautifully hand-woven by highly skilled Master weavers in Nepal, and our garments are regularly tested to ensure the maintainance of highest quality.